Craig grew up in a law enforcement family in Mitchell, South Dakota and Sheldon, Iowa. Craig attended Iowa Lakes Community College in Estherville, Iowa and Des Moines Area Community College in Ankeny, Iowa with an interest in Criminal Justice. Craig is a retired veteran of the United States Air Force and Air Force Reserves with 24 years of service and a 24 year veteran and sworn Officer with the Ankeny (Iowa) Police Department. March 2013, Craig retired from Law Enforcement after thirty-five years and has held assignments as a Military Working Dog Handler and Trainer, Field Training Officer, Narcotic Detection (K9) Handler, Detective with an emphasis on Financial Crimes and was assigned to the Central Iowa Financial Crimes Task Force (Des Moines) and an Executive Board Member of the Iowa Law Enforcement Intelligence Network (ILEIN). Shirley grew up in a law enforcement family in Lineville, Iowa and Des Moines, Iowa. Shirley is a graduate of Des Moines Area Community College, Ankeny and Grandview University in Des Moines with Degrees in Criminal Justice. Shirley has sixteen years affiliated in law enforcement experience including the Drug Enforcement Administration, as an Administrative Assistant, Reserve Police Officer and as an Emergency Communications Specialist for various Metro area Law Enforcement agencies. Shirley is currently a Asset Protection Manager for Walgreens Corporation in West Des Moines, Ia, responsible for 40 stores throughout central Iowa. 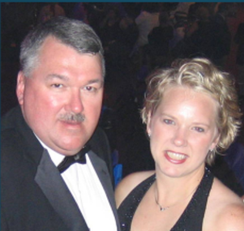 Craig and Shirley founded, Cops Against Cancer, following Craig’s diagnosis and treatment of colorectal cancer in 2009. Cops Against Cancer provides financial assistance to cancer patients and their families. 53 families have received assistances for travel expenses and 128 families have been assisted with other needs in 41 of Iowa’s 99 counties. Craig and Shirley provide patients and their families, doctors and hospital staff with their phone numbers and answer day or night. They work to ensure that those who need assistance do not go without. Both Awarded for dedicated accomplishments and contributions to improving the quality of life of families and your community. Don has over 40 years in marketing and sales with management positions with two Fortune 500 companies. Don spent 8 years in College text book publishing both in sales and editor over eight different subject areas for Holt Rinehart and Winston, Rand McNally and William C Brown Companies. He then served as National Accounts Sales Manager for Better Homes and Gardens Books - division of Meredith Corporation for over 9 years. Next Don helped start a new division for Hon Industries- XLM for 2 years building it to a 10 million dollar division. Don became Vice President for Marketing and Sales for SteelWorks which has been renamed Hirsh Industries. He retired from Corporate life to work with startup companies and independent retailers both consulting and selling labels, cards and gifts, as well as serving on various Church Leadership Boards. 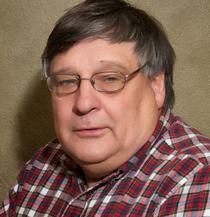 Don resides in Cedar Rapids, Iowa, close to his family and enjoying his grand-kids. 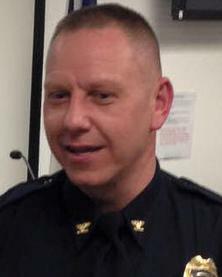 Jeff Brinkley is currently the Chief of Police in Mason City, Iowa. Jeff was a Lieutenant with the Ames Police Department prior to the Mason City appointment in January 2016. His law enforcement career started in 1995 with the University of Northern Iowa Department of Public Safety. He was then hired by the Ames (Iowa) Police Department in 1996. During that time he has served in a variety of assignments: Emergency Response Team, Sexual Assault Response Team, bike patrol, union steward, and drug task force officer. Jeff is a graduate of the 239th Session of the Federal Bureau of Investigation National Academy and the 58th Session of the Police Executive Research Forum Senior Management Institute for Police. He is also a lecturer in the Sociology Department at Iowa State University. Outside of work, Jeff enjoys exercise, sporting events, and hunting. Jeff’s family includes his wife, Lisa, and their two children. Their family enjoys cooking and entertaining at their home. They attend Cornerstone Church in Ames, Ia and are avid Iowa State Cyclone fans. Alex is a native of Baxter (Iowa) and has lived in Des Moines (Iowa) Metro area the past ten years. Since 2014, Alex has worked with the Iowa Department of Natural Resources (Iowa DNR) as the Public Information Officer. Prior to this position, Alex was with the Iowa Department of Public Safety (DPS) as the Public Information Officer (PIO) for the Investigative Operations Divisions and the Office of the Commissioner. Alex now handles media requests for the Department and it’s Divisions which include the Iowa Division of Criminal Investigation (DCI), Iowa Division of Narcotics Enforcement (DNE), State Fire Marshal Division (SFM), and the Division of Intelligence and Fusion Center (DOI). For five years, Alex was a TV news reporter for KCCI-TV, as well as a photojournalist and editor. While at KCCI, Alex covered countless stories across the state and was a reporter on two separate newscasts that won Emmy awards, as well as many overall excellence awards. Several of Alex’s stories have aired on national newscasts. During Alex’s time at KCCI, he did several pro-law enforcement stories, including many with DPS, and built strong relationships and connections in the law enforcement community across the state. Alex left KCCI and joined the Iowa State University News Service team as their videographer, in May 2012. He graduated from Grand View University in December 2011, with a BA in Journalism/Mass Communications. While at Grand View, Alex made the President’s List and the Dean’s List. He also attended DMACC, studying crime scene investigations before he decided to pursue his degree at Grand View. Alex attends Valley Church in West Des Moines. He spends much of his free time outside, enjoying the warm weather or traveling to warmer places! He also spends a lot of time with his family in Baxter. Alex is an avid fan of the Grand View Vikings, Green Bay Packers and Iowa Hawkeyes! Carol has a diverse medical background in critical care, rehabilitation, university clinic, family practice clinic, adult oncology inpatient staff nurse, cancer care coordinator/navigator, and end of life care. January 2007 to December 2011, Carol was the Colon Cancer Care Coordinator for John Stoddard Cancer Center, Carol continues to work part-time within the Cancer Survivorship Program, assigned to coordinate care, enhance teaching, and provide support to patients and families experiencing a colorectal cancer diagnosis, treatment, and survivorship care. Carol also was a Staff Nurse, John Stoddard Cancer Center Adult Oncology Unit, responsible for the diagnosis and treatment of human responses to actual or potential health problems in the oncology setting, patient and family education, coordination of care among team members and related departments involved in patient treatment and care, education and training of nursing staff new to the oncology setting and assessing staffing needs. Carol also served as Manager in the family's Insurance business in Ackely, Iowa. MA in Community Health Education from the University of Northern Iowa in 2011. BA in Business Management, University of Northern Iowa, Cedar Falls, Iowa in 1993 and a graduate of St. Luke’s Methodist School of Nursing, Cedar Rapids, Iowa in 1964 Completed Peripheral Blood Stem Cell Transplantation Training, and as a Oncology Certified Nurse. Carol has also been a member on several mission trips including Hungary/Romania, Sicily/Italy and Haiti Vision Team and Apache Indian Reservation, New Mexico. Scott is a District Court Judge in the Fifth Judicial District of Iowa. He was appointed to this position in January of 1997. He was retained on November 2, 2010 to a six-year term which will expire on December 31, 2016. Judge Rosenberg was born in Des Moines, Iowa. He graduated from the University of Iowa in 1976 with a bachelor's degree. He then received his law degree from Drake University in 1979. He has two children. office and an Assistant Polk County Attorney. 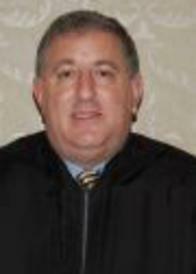 He joined the Fifth District in 1992 as a district associate judge. Judge Rosenberg is a avid hunter and outdoors man and has been a very active with the Cops Against Cancer FIVE-0 BBQ Classic and Chairs the FIVE-0 BBQ Team and is truly a serious BBQ competitor with several top awards. Charis Paulson is currently the Director of Administration for the Iowa Department of Public Safety. She is responsible for the Department’s $100+ million budget and, in addition, oversees Human Resources, Peace Officer Retirement, and Training for the Department’s 600+ sworn officers and approximately 300 civilian staff members. Prior to this position, Charis was appointed as the first female Director of the Iowa Division of Criminal Investigation (a Division within the Iowa Department of Public Safety) on November 1, 2012. Charis also currently serves as the Iowa Chief Systems Officer for FBI-CJIS (Criminal Justice Information Systems) and was appointed by Governor Branstad to the Iowa CJIS Advisory Committee in July 2014. Charis has been a sworn member of the DPS - Division of Criminal Investigation since 1994 and has held Special Agent positions in both the Gaming Bureau and Major Crime Unit. She was promoted to Special Agent in Charge of the Central Iowa Gaming Unit in 2005 and then promoted to Assistant Director in charge of the Gaming Bureau in November of 2007. 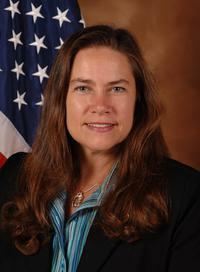 On October 1, 2010, she transferred to the position of Assistant Director of the Field Operations Bureau, a position she held until her promotion to Director. Charis is a 1990 graduate of Buena Vista University with a degree in Business/Marketing and a 1992 graduate of Drake University where she received her Master's degree in Business Administration. Charis is also a graduate of Northwestern University's School of Police Staff and Command, Drake University's Certified Public Manager Program, the International Association of Chiefs of Police - Leadership in Police Organizations School, and the Iowa Association of Business and Industry’s Leadership Iowa Program – Class of 2009-2010. Outside of work Charis enjoys volunteer activities with the Heinz 57 dog rescue and with her church. She lives on a horse farm outside of Adel with her three children: Kayla – 16 and twins, Justice & Jaedyn – 14. Tim Denger has been involved in Law Enforcement for over 14 years. 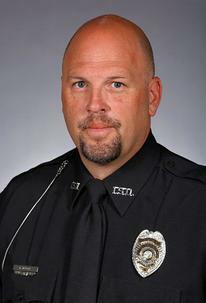 Tim is currently a Detective with Iowa State University Police in Threat Assessment and Management. Tim works extensively in the area mental health, and is trained as a CIT Officer and Crisis/Hostage Negotiator. Tim is also a member of the Association of Threat Assessment Professionals. Prior to coming to ISUPD, he worked for Muskegon Police Department (MI) where he worked in patrol, Neighborhood Policing Unit, the Neighborhood Response Team as well as being assigned to WEMET, which is a narcotics team for the Michigan State Police. Prior to a career in Law Enforcement, Tim was a pastor at several churches in Michigan and Iowa after completing his education at Faith Baptist Bible College and attending Grand Rapids Theological Seminary. Tim was diagnosed with cancer on January 1st of 2018 and is currently awaiting more treatment. He lives in Huxley with his beautiful wife Heather and his three wonderful daughters. Tim is an active member of his church, having served as an elder and works with the youth & worship teams. He is also a member of the Huxley Fire & Rescue Department. 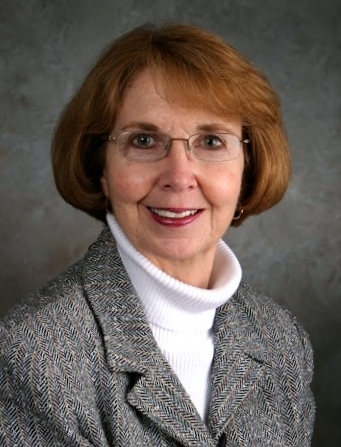 Karla Dahlin (Executive Committee) is Buena Vista University graduate with a Bachelor of Arts degree. She currently is a Senior Account Specialist for Chicago Tube and Iron in Ankeny, IA. 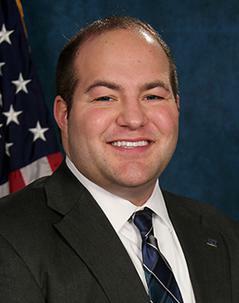 Josh Dahlin, (Advisor to the Board) is also a Buena Vista University graduate with a Bachelor of Science degree. He currently is a Product Manager at Auto Jet Muffler in Clive, IA. Josh & Karla have two boys, Hudson & Boyd. In May of 2018 Boyd, at age 2, was diagnosed with a rare type of brain cancer, Ependymoma. He underwent surgery to remove the tumor, followed by 33 proton beam radiation treatments at Mayo Clinic in Rochester, MN. He is currently in remission and thriving! Throughout their cancer journey, the Dahlins felt very blessed by all those who helped out and gave support; now they are inspired to reach out and help other pediatric families navigate through similar situations. 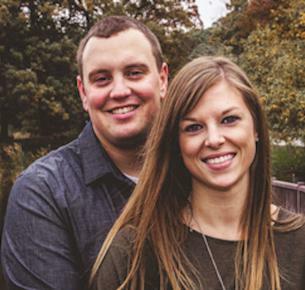 Josh & Karla enjoy spending time with family and friends and are avid fans of the Minnesota Vikings and the Iowa State Cyclones.